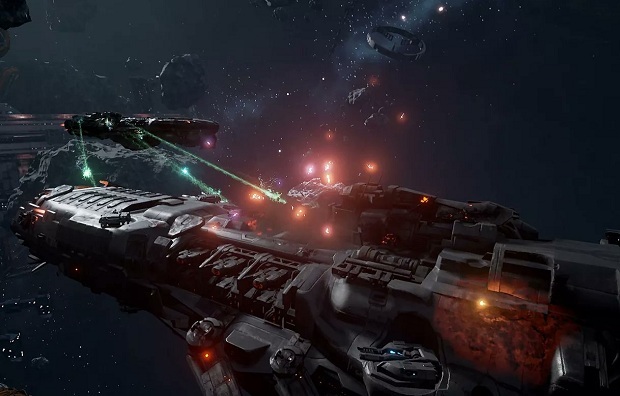 Dreadnought is getting a new game mode this week, but only if you play on PlayStation 4. Havoc is a PvE “horde mode”-style of gameplay that’s unique to the console version of the game, at least for now. Polygon’s got the scoop on Havoc, which pits three players against endless waves of computer-controlled enemy ships. Each wave adds an additional complication such as increased damage or reduced energy to player ships, as well as increased enemy difficulty. To compensate, players can buy enhancements to their ships between waves. Havoc becomes the third game mode offered to PS4 players, alongside Team Deathmatch and Team Elimination; PC players also get Onslaught mode, giving each platform three options. Yager Development and Six Foot intend to add Havoc to PC and Onslaught to PS4 in the future.